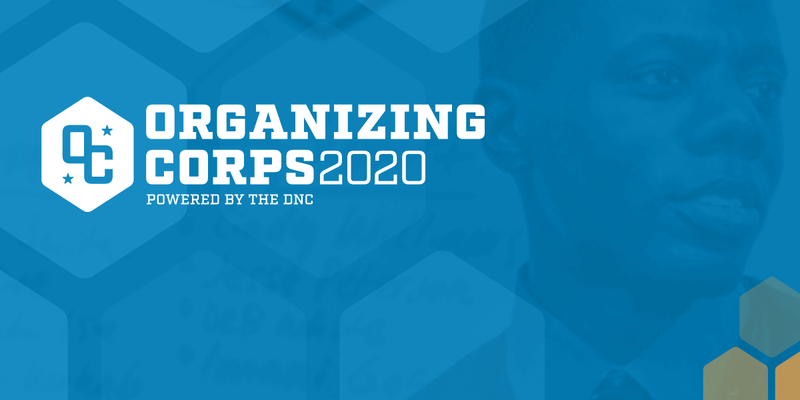 Today, the Florida Democratic Party along with the DNC announced the launch of Organizing Corps 2020, a partnership with 270 Strategies and Collective PAC that will train and prepare more than 100 Florida college students to work as organizers in 2020. The Florida Democratic Party recognizes the need to recruit young diverse talent to join campaigns, run for office, organize in their communities and become leaders within the Florida Democratic Party infrastructure. "In 2018, Florida Democrats saw record youth involvement and turnout and the FDP Organizing Corps will help us build on youth outreach and engagement for 2020, and will be a key component in expanding our base and ensuring that Florida Democrats have a strong field program ready to support our Democratic nominee on day one," said FDP Executive Director Juan Penalosa, who will serve on the advisory board of Organizing Corps 2020. "Organizing Corps 2020 will be crucial in our efforts to turn Florida Blue in 2020." Organizing Corps 2020 will recruit college juniors in the spring of 2019 from Florida's colleges and universities. All accepted corps applicants will receive a $4,000 stipend during an 8-week program beginning in the summer of 2019 that will focus on structured training in digital organizing, voter registration and data analysis. At the conclusion of the summer training program, Corps members will return to their Florida college campuses and continue to organize and upon graduation in May 2020, Corps alumni will be ready to accept positions to work on Florida campaigns. "We know that the key to defeating Donald Trump in 2020 is to organize early and put the best team in place to motivate Democratic voters to make their voices heard," said DNC Chair Tom Perez. "Organizing Corps 2020 will build a powerful pipeline of young talent — energized Democrats who reflect the diversity of their communities. This new organizing program will help us grow the party, win more elections, and build the organizing infrastructure our nominee will need to take back the Oval Office." Applicants to the Florida Organizing Corps can apply now here.